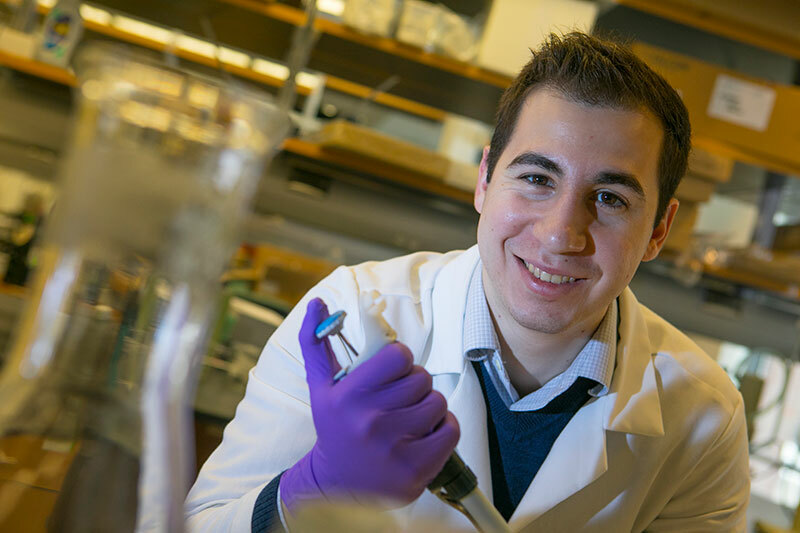 First-Ever Stony Brook University Discovery Prize Fellow Selected by Illustrious Panel. 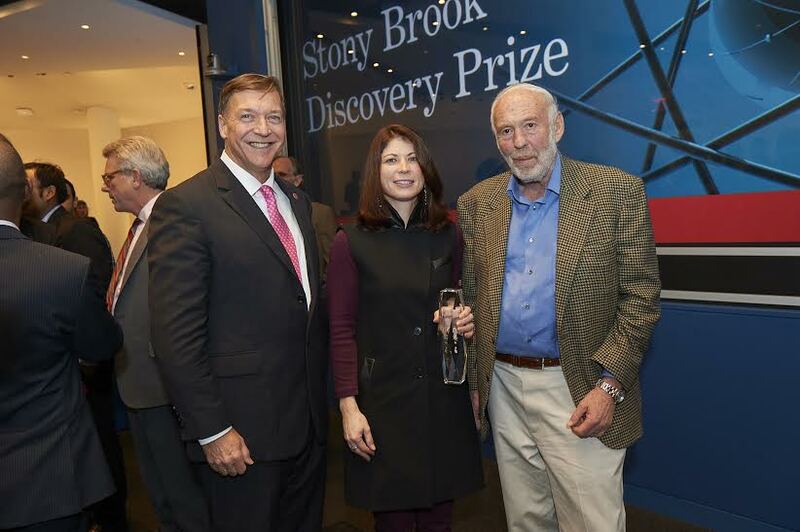 Laurie Krug holds the DIscovery Prize award with President Stanley (l) and Jim Simons. New York, NY – December 11, 2014 – Laurie T. Krug, Assistant Professor, Department of Molecular Genetics and Microbiology at Stony Brook University, is the first early career scientist to be named the Stony Brook University Discovery Prize Fellow, a new philanthropically-sponsored award established to fund high-risk, high-reward basic research projects. Krug was named today following a “Shark Tank”-meets-“TED Talk”-styled competition at the Simons Foundation headquarters in New York City. 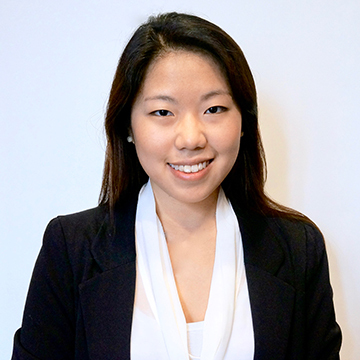 Krug was selected from one of four finalists for her project that researches herpes viruses that are associated with cancer and the idea of delivering molecular scissors to the site of virus infection using nanoparticles. 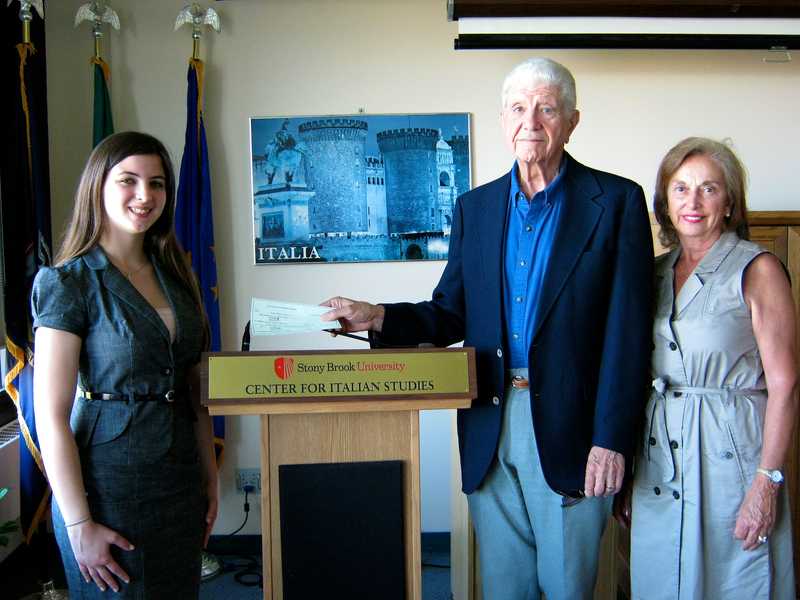 The Stony Brook University Discovery Prize was established when the Stony Brook Foundation created the Discovery Fund in response to a nationwide call to augment public funding of university research with philanthropic support. The Prize is part of a broader commitment by President Stanley and the Foundation to raise $25 million to invest via future awards to faculty over the next 10 years. 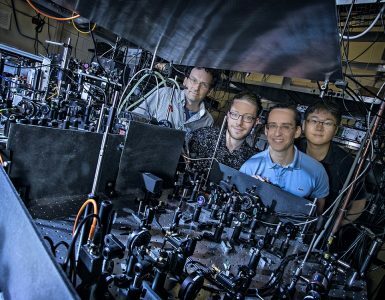 “It’s exciting and an honor to be the first Discovery Prize recipient,” said Krug. Krug and her collaborator Balaji Sitharaman were awarded $200,000 to support their research and in an unexpected announcement made after the judges’ deliberation, the three finalists learned that they each will receive a $50,000 Discovery Fund award for their projects. Historic for its dynamic approach to encourage early career faculty to compete for the prize in a live, real-time setting – a format usually reserved for reality TV competitions like “The Voice,” “Shark Tank” and “American Idol” – the Discovery Prize competition also included a component that requires finalists to explain their project in a way that is easy to understand and conveys its significance and approach to solving a problem. 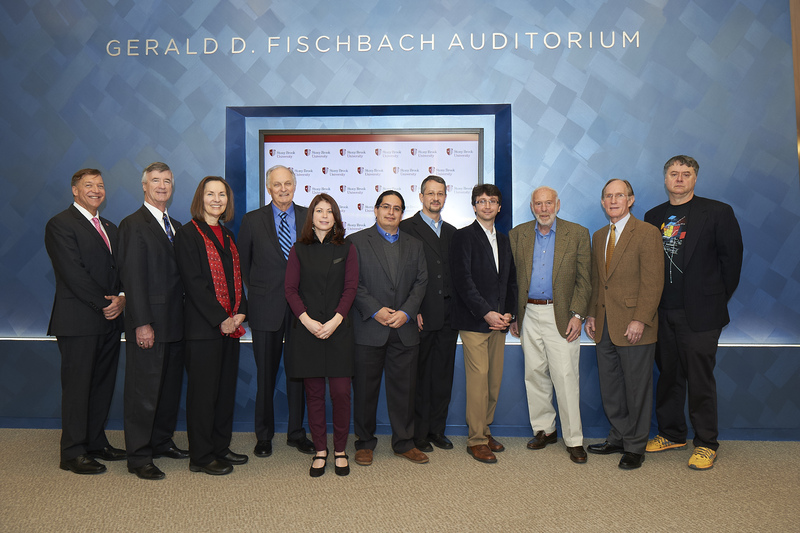 The Alan Alda Center for Communicating Science at Stony Brook University was instrumental in the training of all four finalists, who were selected from a total of 22 proposal submissions that were reviewed by a panel of six SUNY Distinguished Professors. 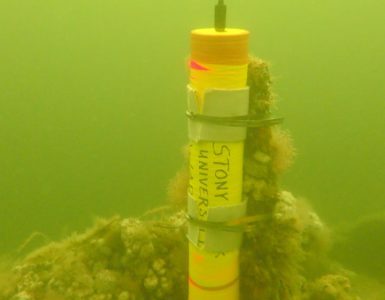 “Today was a great day for Stony Brook, and a great day for science,” said Simons. 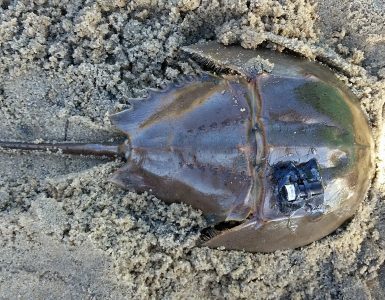 “Each of the four competitors had excellent proposals. Of course, we had to pick one, and it was a great one.”Each of the four finalists were lauded for their ambitious, innovative and forward-thinking projects which they presented to an illustrious panel of judges that included Nobel Laureate Peter Agre, MD – Winner of the 2003 Nobel Prize in Chemistry and professor at Johns Hopkins University; Robert Shelton, PhD – President of Research Corporation for Science Advancement and former president of the University of Arizona; James H. Simons, PhD – Chairman of theSimons Foundation, founder of Renaissance Technologies and former Chairman of the Mathematics Department at Stony Brook University; and, Esther Takeuchi, PhD – holder of 150 patents and Distinguished Professor of Chemistry at Stony Brook University. Legendary actor Alan Alda, founder of the Alan Alda Center for Communicating Science at Stony Brook University, provided opening remarks at the event. Paul Hoffman, CEO of the Liberty Science Center, served as Master of Ceremonies. Alan Alda, founder of the Alan Alda Center for Communicating Science at Stony Brook University, provided opening remarks at the event. “December 8th through December 12th is Nobel week, and I can’t think of a more outstanding way to celebrate that here in New York than with The Discovery Prize,” added Agre. 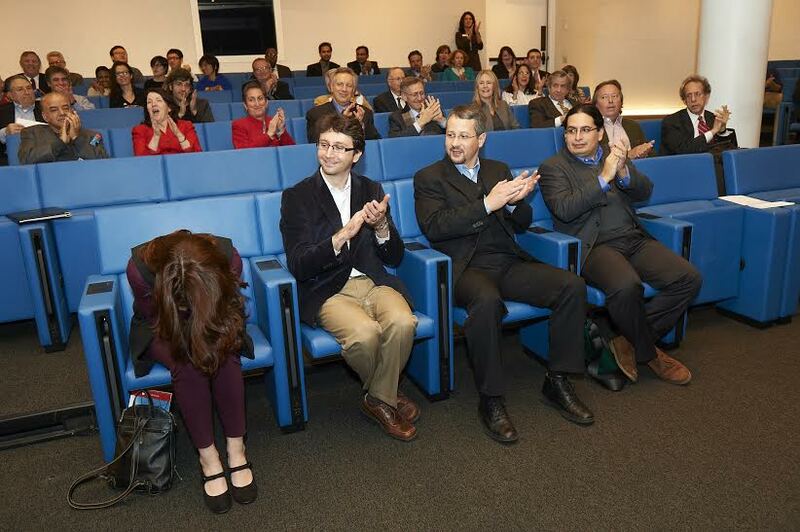 Newly named 2014 Discovery Prize Fellow Laurie T. Krug reacts to the news that her proposal was selected for the $200K award by the panel of judges as fellow finalists look on (from left, Emre Salman, Gabor Balazsi and Eden Figueroa. Finalists learned moments later that they would receive $50K each in Discovery Fund awards for their proposals. About the Science Philanthropy Alliance: The Science Philanthropy Alliance was founded by six funders committed to discovery-driven scientific research who are working together to increase private investment in fundamental research and ultimately help ensure a better and more prosperous future. By promoting collaboration among those who are interested in this vital stage of scientific discovery, the Science Philanthropy Alliance aims to substantially increase philanthropic funding for fundamental research within five years and to create a community of funders of fundamental research. About Stony Brook University: Part of the State University of New York system, Stony Brook University encompasses 200 buildings on 1,450 acres. Since welcoming its first incoming class in 1957, the University has grown tremendously, now with more than 25,000 students, 2,200 faculty and 20 NCAA Division I athletic programs. Its membership in the prestigious Association of American Universities (AAU) places Stony Brook among the top 62 research institutions in North America. U.S. News & World Report ranks Stony Brook among the top 40 public universities in the nation, and Kiplinger named it the 29th best value in public colleges for in-state students and 20th for out-of-state students. One of four University Center campuses in the SUNY system, Stony Brook University co-manages Brookhaven National Laboratory, putting it in an elite group of universities that runs federal research and development laboratories. As the largest single-site employer on Long Island, Stony Brook is a driving force of the regional economy, with an annual economic impact of $4.65 billion, generating nearly 60,000 jobs, and accounts for nearly 4% of all economic activity in Nassau and Suffolk counties, and roughly 7.5 percent of total jobs in Suffolk County.